Throughout Rice Crew's history, the team has had a few homes. From Bay Area Rowing Club (BARC) to Greater Houston Rowing Club and then back to BARC, you'll be hard pressed to find a rowing club in Houston where Rice has not left its mark. Currently, the team is housed on Houston's sole waterway, the Buffalo Bayou, situated 10 minutes northeast of Rice University's campus right of the Buffalo Bayou Hike and Bike Trail. Unlike many collegiate team's water-space, the bayou boasts a nearly unlimited amount (spanning from the Houston Ship Channel to downtown's Theater District) with some of the most spectacular sunrises around with backdrops of downtown Houston. 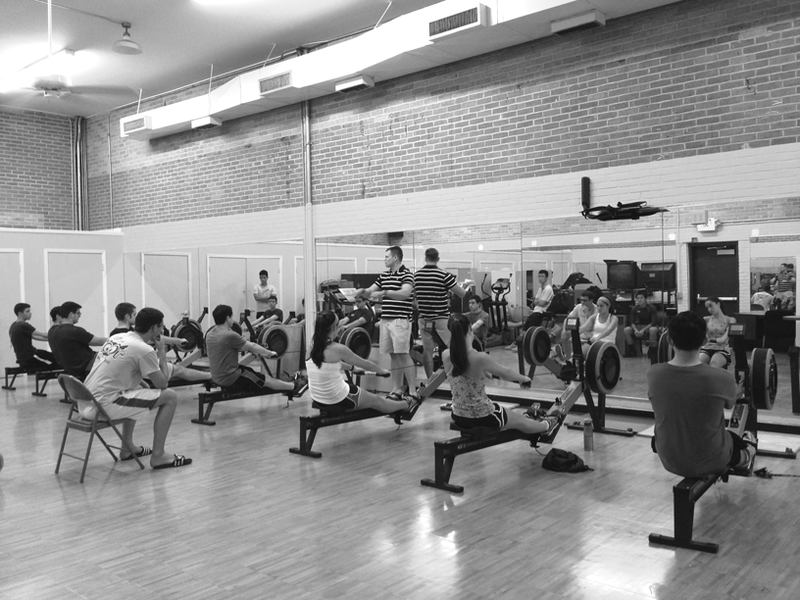 Over summer, many Rice Crew rowers elect to join BARC independently to learn to scull, a type of symmetrical rowing. To supplement water practices, the team has a dedicated erg (indoor rower) and fitness room in Tudor Fieldhouse. Additionally, the Barbara and David Gibbs Recreation and Wellness Center in the heart of campus acts as the team's weightlifting center. As the year progresses, the team often transitions from more water-based practices to more land-practices in order to build explosive strength needed for the spring sprint season. Given their proximity, practices at Tudor or the Recreation Center begin later so that team members can sleep in on land workout days.